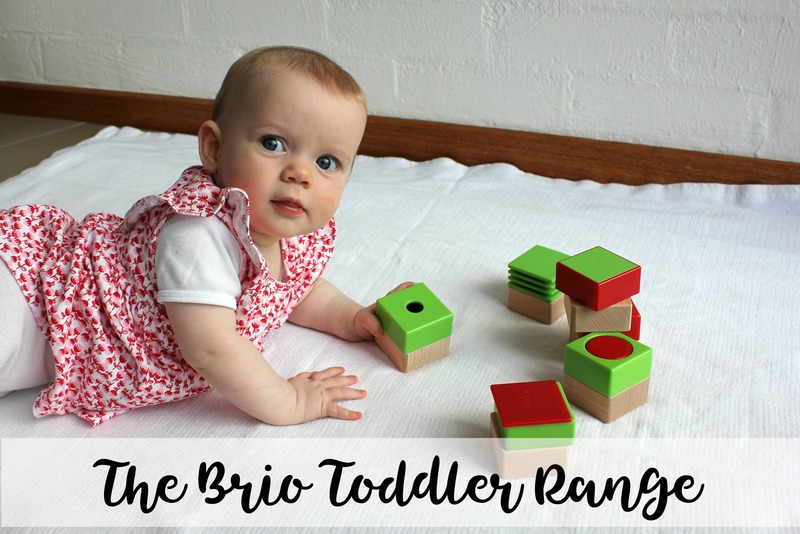 With thanks to Childsmart for providing me with items from the Brio Toddler range to review. I have not been paid for this post and these are my own, honest opinions. Not all toys are created equal, right? Parents seem to gravitate to simple, wooden toys. On the other hand, kids seem to love anything that’s plastic. Happily, the Brio Toddler range provides a middle ground! The toys in the range are classic and timeless, while still being bright and fun. 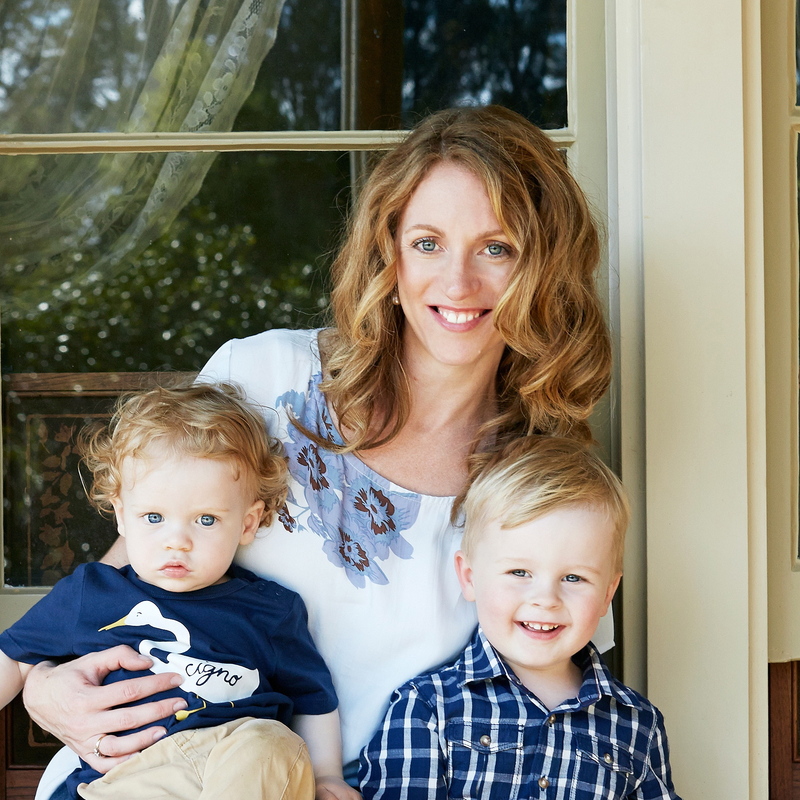 That makes the Brio toddler range appealing to both kids and adults. The set of six sensory blocks are gorgeous. They are made from plastic and wood and each block does something different. One rattles, another squeaks, one twists. The girls were curious about the different sounds, colours, materials and shapes. It was truly beautiful to see their delight as they explored each block. 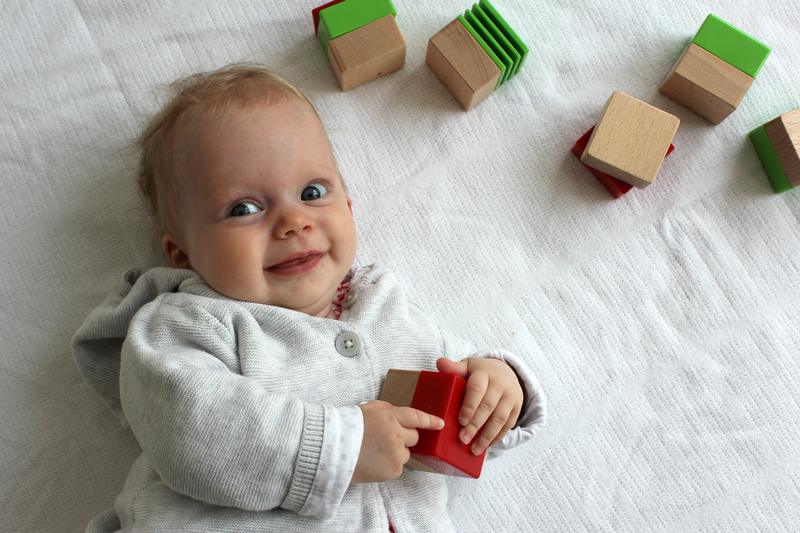 The Brio Sensory blocks are recommended for ages 12 months +. The twins are 6 months old and loved playing with the blocks with my help. At this age they are grabbing at the blocks and giving them a good chew. 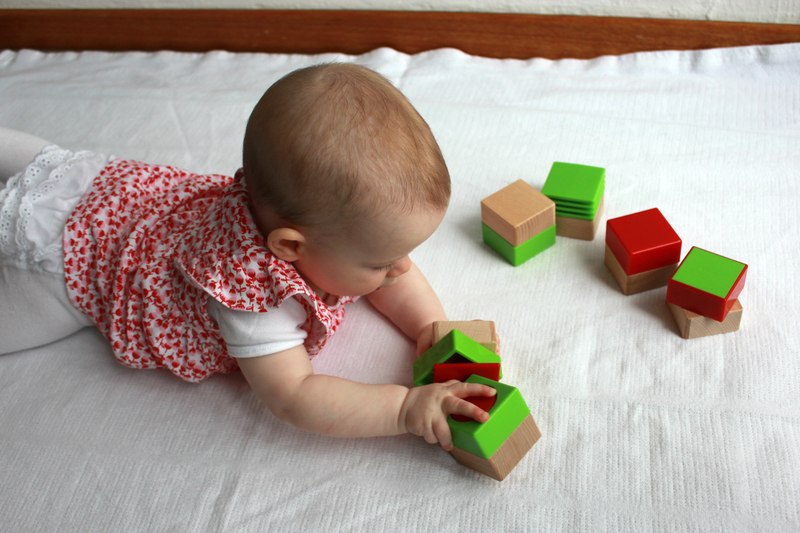 As they grow they’ll use the blocks in different ways and learn new things from them. We’ll be able to build towers and knock them down. Eventually the girls will master some of the more challenging blocks. This sweet little train set includes a train, wagon, cow and farmer. The pieces are sturdy and the perfect size for little hands. 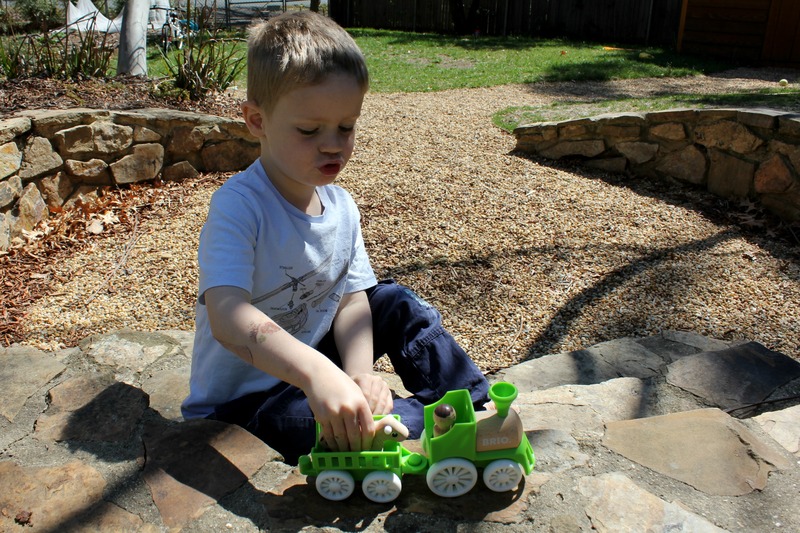 The farm train set certainly encourages imaginative play. The train can travel through the countryside and stop for the farmer to load a cow into his wagon. Our cow was eating grass and making lots of moo sounds. At one stage the farmer became a cowboy and rode the cow. One of the reasons I love the farm train set is because it doesn’t have sounds or lights. My boys generate enough noise, it’s a relief when the toy is silent! Of course it also means I don’t have to worry about batteries. The farm train set is recommended for ages 18 months +. My youngest son is 3, but that certainly doesn’t make him too old for the toy. The beauty of this set for him is the open ended options for play. Obviously he is only limited by his imagination. 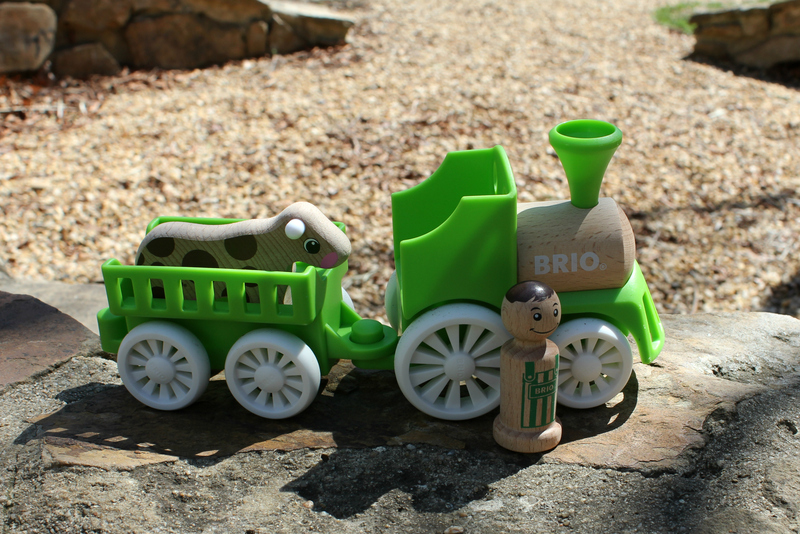 The Brio Toddler range is perfect for little hands and growing minds. The toys we were gifted from the range are amazing quality. If you’re hunting for lovely toys, either for your own child, or as a gift, consider a toy from the Brio Toddler range. I think almost every kid has a firetruck loving stage! I loved my Fisher Price dolls house. I know someone who would love that farm train set! The girls are looking so grown up. The farm train set is very sweet. It’d make a lovely gift! I think my favourite toys were mine and my sister’s barbie dolls (and some of Mum’s vintage ones thrown in too). We used to play for hours and hours (even when we were in High School, oh how innocent we were!). I love the look of the sensory blocks! Barbie dolls! That brings back so many memories. The sensory blocks are wonderful! Beautiful Toys. I love toys that don’t require batteries. My favourite toys were my baby doll, cabbage patch kid and lego. I think Lego is the best toy ever. Lego is a long time favourite here too!